Don't just settle into living a boring gluten-free life. Gluten-Free Fun by Erin Smith is licensed under a Creative Commons Attribution-NonCommercial-NoDerivs 3.0 Unported License. Back in June, I started following a company called Dishcrawl on Twitter. They were organizing social dining events in cities across the United States and Canada and I was intrigued. Dishcrawl is "a national foodie start-up founded on the premise that communities can be brought together through good food and good company, four restaurants in one night. Rapidly expanding into new markets, dishcrawlers can currently join monthly progressive food adventures in San Francisco, New York, Montreal, Ottawa, San Jose, the Tri-Valley Area, and the Penninsula. Dishcrawl is currently headquartered in the Silicon Valley." I usually shy away from foodie events that are not specifically gluten-free with the fear of spending a lot of money for something where I can't eat anything. After seeing more and more cool events posted to the Dishcrawl calendar, I decided to reach out to the Dishcrawl team to see if they would consider hosting a gluten-free Dishcrawl in New York City. The Dischcrawl team got back to me in less than three minutes! No joke. Founder Tracy Lee was so excited to hear from me and learn about the NYC Celiac Disease Meetup group and our gluten-free members. She mentioned that she had lots of gluten-free friends and quickly connected me with the Dishcrawl NY team, Evie and Rachel. After many emails over the past few weeks, the Dishcrawl NY started their gluten-free restaurant research and Evie posted up the first gluten-free Dishcrawl to their calendar last week. I was beyond excited and quickly announced the event to our NYC Celiac Disease Meetup group. In less than three days, more than 25 tickets were sold! The enthusiasm for this event was so great that Dishcrawl NY even added 25 additional tickets. The event is on September 7th and as of today tickets are still available. More details below. The Dischcrawl NY Gluten-Free event is open to anyone who wants to buy tickets and enjoy a night of gluten-free dining around NYC. Come join Dishcrawlers for an adventure through Manhattan that is completely Gluten free! Dishcrawl is partnering with NYC Celiac Disease Meetup group to make this an amazing night! We will take you through four culinary destinations and maybe a surprise detour or two all in one night! The meeting location will be revealed 2 days before the event via email. We're sorry, but cancellations are only taken if done 48 hours in advance. Thanks for understanding! Email ny@ dishcrawl.com with questions. Tickets are $26.00 + $1.79 processing fee. The ticket price includes food for the entire evening except for drinks. Drinks will have to be purchased individually by each patron. 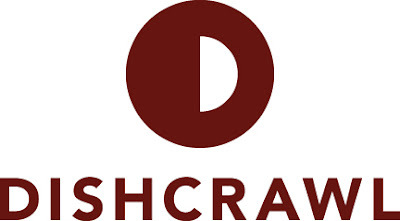 Dishcrawl is a national foodie start-up founded on the premise that communities can be brought together through good food and good company, four restaurants in one night. Rapidly expanding into new markets, dishcrawlers can currently join monthly progressive food adventures in San Francisco, New York, Montreal, Ottawa, San Jose, the Tri-Valley Area, and the Penninsula. Dishcrawl is currently headquartered in the Silicon Valley. Dishcrawl is the best way to discover your food neighborhood! Dishcrawl: Building communities around food.